Dangerous leaks and fatal explosions of gas lines and drilling rigs are not uncommon in today's headlines. Methane (natural gas) is one of the world's most important forms of energy, but it can also be extremely volatile. Since its natural form is odorless, colorless, and gaseous, methane has a sneaky way of finding its way into the atmosphere without obvious signs. Methane leaks and explosions pose an extreme public health and safety risk if leaks occur near cities or industrial sites. Unfortunately, gas explosions are an environmental assault that are often fatal. 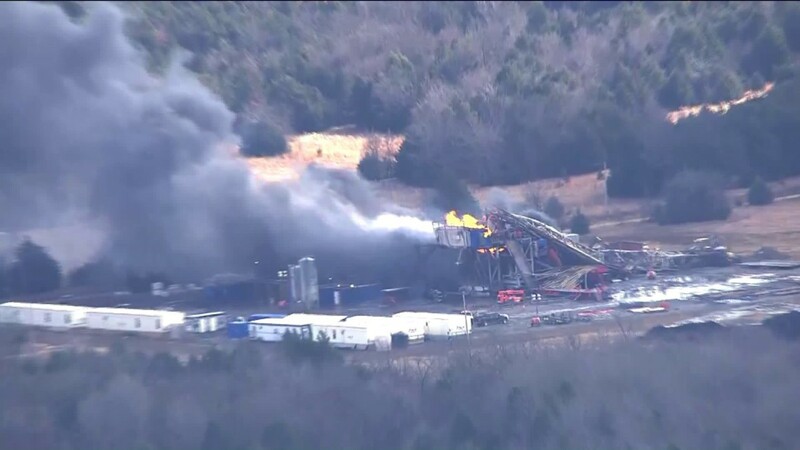 Earlier this week, five Red Mountain Energy rig workers developing a well for Patterson-UTI Energy were killed in a fiery explosion at a new production facility located just west of Quinton in Pittsburg County, Oklahoma. The explosions were quickly extinguished; however, the wellhead plume continues to burn. These terrible tragedies are devastating to the families and friends of the victims; and Patterson-UTI's financials costs will be many millions of dollars. Patterson-UTI Energy (NASDAQ:PTEN) CEO Andy Hendricks stated the company would work closely with OSHA in their investigation, to prevent this kind of disaster in the future. In April 2017, the Weld County, Colorado explosion that killed two men and seriously injured one woman prompted the Colorado Oil and Gas Conservation Commission to issue a Notice to Operators that requires systematic inspection of their inventory of flowlines. Anadarko (NYSE:APC) reported a $415 million dollar loss in the second quarter of 2017 which they largely attributed towards the mitigation and remediation of the explosion and loss of production while the lines were shut off during the inspection and repair process. Satelytics can detect natural gas leaks in high fidelity down to the exact well pads, pipelines, and storage units. Extracted and transported in accordance with regulation, natural gas is an affordable, safe, and reliable fuel source. As extraction costs continue to shrink, it has the power to relieve us of dependence on far more environmentally damaging fuels like coal. Despite the US EPA striking down tougher methane standards, other major natural gas producing states (notably California and Pennsylvania) have taken firm steps ordering operators to monitor natural gas leaks and avoid dispersal of the gas into the atmosphere. Public safety has been woven into the fabric of our culture at Satelytics, not only in the products we deliver, but in the gravity our science and professional team maintains while providing service to our customers. Satelytics was designed for monitoring large, geographically dispersed infrastructure including the drilling, pipeline, and storage assets of supermajor oil & gas companies. Our software utilizes satellite imagery to monitor assets—often separated by or traversing thousands of miles of remote territory with interspersed human activity—to detect natural gas leaks in high fidelity down to the exact well pads, pipelines, and storage units. ​Current methods of remote monitoring of these assets include manual inspection, aircraft flyovers, and fixed surveillance equipment, but these error prone and inflexible methods rely on humans to make judgement calls. Current methods of remote monitoring of these assets include manual inspection, aircraft flyovers, and fixed surveillance equipment, but these error prone and inflexible methods rely on humans to make judgement calls. Satelytics uses powerful remote sensing algorithms and machine learning to isolate spectral signatures in satellite imagery, signatures that are unmistakably the result of leaks, and sends the alerts directly to operators and field crews via email, text alerts, or other operational software. Not only is Satelytics more accurate than manual inspection alone, alerts are sent as soon as natural gas signatures are detected allowing your teams to respond and mitigate issues earlier. Allan Adams, our Director of Science, comments, "Public safety is our number one priority. When it comes to safety risks, identifying them accurately and earlier saves lives. Satelytics provides the best tools to accomplish this with infrastructure on the scale of oil & gas extraction, transportation, and storage infrastructure."